So just when you think you know your stuff about coffee along comes a word that throws you for a loop. Seems to happen a lot with coffee, I guess there’s a lot to learn. Today I want to talk about Liberica. I’ve heard the term but didn’t know much about it, so spent a few hours doing some research so I could bring this article to you. Coffee has a number of different species, the two that are most familiar to most people are Arabica (Coffea Arabica) and Robusta (Coffea Canephora). Of the other, more obscure, species of coffee, Liberica (Coffea Liberica) comes third in line and makes up 2% of the world’s coffee consumption. It’s very difficult to get hold of in the US and other Western countries. It’s primarily grown, processed and consumed in certain countries in Asia where it suits the climate a little more and can be sold more cheaply. Of course, you’re probably wondering what the actual taste is like… and if it passes that test, where to get your hands on some of this exotic stuff! Liberica coffee is a species of coffee plant that was first discovered in Liberia which gives it its name. It’s a much larger plant/tree than other species, growing to 20m in height and producing coffee beans that are much larger than other varieties. Liberica is the 3rd most popular coffee for drinking, accounting for 2% of the world’s consumption behind the behemoths of Arabica (about 75%) and Robusta (about 20%). The coffee it makes is still coffee. It’s brown, it’s inherently bitter and it’s caffeinated, all the things you’ve come to expect from your favorite drink. It has not entered the consciousness of coffee brewers and roasters in the West, presumably as a consequence of its difficulty to obtain and perhaps its unappealing taste. Despite this, in certain countries it remains very popular, particularly for its use in cheaper ways of selling coffee such as instant coffee. Liberica has spread to certain countries in Asia and South America, being notable for the sizable influence in Malaysia, Indonesia, and the Philippines. These countries, that are all in South East Asia, suffered from an immense devastation of their coffee crops in the latter half of the 19th century as a result of ‘coffee rust’ disease. This parasitical fungus ruined the traditional Arabica crops that were popular among farmers in the region. 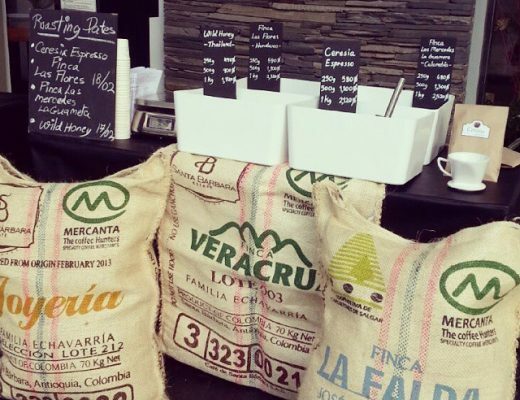 The solution was to introduce the alternative, and more hardy, Liberica coffee into the region. This has resulted in these countries making up the majority of the world’s Liberica consumption. 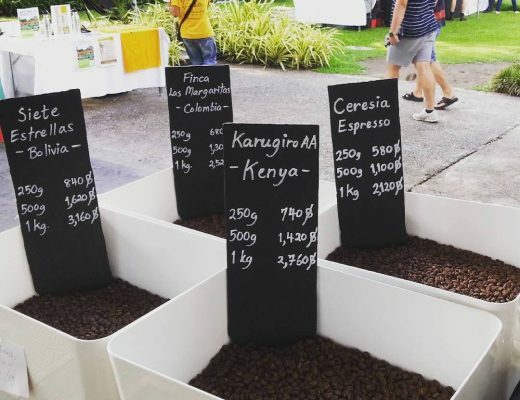 It is worth pointing out that Malaysia, Indonesia, and the Philippines all do not have the same Third Wave artisanal coffee culture that more developed countries tend to have, as a result, the Liberica coffee that is sold is more on the cheap, mass-produced side rather than quirky indie roasters playing around with different Liberica roasts. As a result, Liberica does not have much of a reputation for being ‘good’ coffee and it’s not been imported in any great quantity to Western countries. 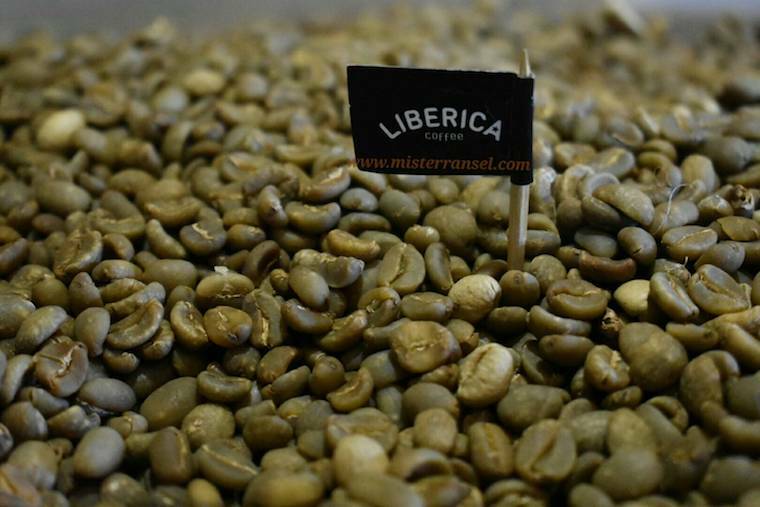 Liberica is much more similar to Robusta coffee than Arabica in terms of its general taste profile. That is to say, it is bold, emphasizes the darker, earthier flavors and has more of a ‘kick’ to it. It differentiates itself from Robusta in a couple of very distinct ways. Firstly, there is a seemingly unpleasant feel to the aroma of brewed Liberica coffee. It’s like the smell of durian, which smells bad and almost rancid but nothing like the flavor of the actual fruit. The second is the smokiness of the taste. I read one person who described the taste of it like ‘liquid tobacco’, going much further than the mild burnt flavors you might get in a dark roast of something more conventional. On the more negative side, I came across someone who described it as ‘car tire and burning plastic’ so make of that what you will! 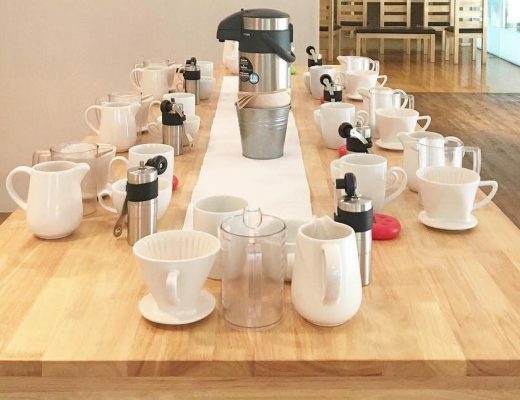 Outside of that, it is still like conventional Arabica or even Robusta where each individual bag of coffee beans can have a variety of different tasting notes. Liberica is still coffee, and coffee has an amazing range of flavors when brewed correctly. If you’re interested in tasting some of this exotic coffee bean then you’re in luck. A few years back I remember searching for it with little result, but the internet has come to the rescue and there seem to be a number of places that offer some LIberica for sale. 1. The first and probably easiest step is to check out what some of the resellers have available on Amazon. That link is a link to searching “liberica coffee”. It’s not always constant so you’ll have to see what’s in stock day to day. You’ll notice that the majority of the Liberica is from Malaysia, so presumably it’s authentic and has been imported. 2. You can also find specialist sellers with their own websites. One that looks promising that I found through Google is Len’s coffee. This website looks pretty professional and seems to specialize in Vietnamese and other Asian coffees, which happily for us encompasses Liberica. 3. There’s also the option of eBay. As a large-scale online marketplace, there is loads and loads of goods for sale there and I have definitely seen Liberica coffee for sale in the past. A quick search reveals that this is still the case and this might be the best option if you are looking to obtain some green coffee to do your own roasting. 4. If you’re looking for somewhere a bit more ‘Third Wave-y’ then I just discovered this place which offers a great variety of different Liberica beans and roasts. You can never tell until you’ve tried, but the website and information on there has all the hallmarks of a roaster that knows what they’re doing so this might be an interesting option as well. Want To Know More About Coffee Beans? I’m a bit of an obsessive when it comes to learning about coffee beans and it’s resulted in me writing far too many excessively detailed articles on the intricacies and idiosyncrasies of this whole coffee lark. If you’re of a similar mind you might want to check out these articles too. The first I’d recommend is this article which is all about the other 2 more popular varieties of coffee, Arabica, and Robusta. I had a poor view of Robusta until I really dived into the research of that article and now have a newfound appreciation for the stuff for, in particular, 2 very good reasons. 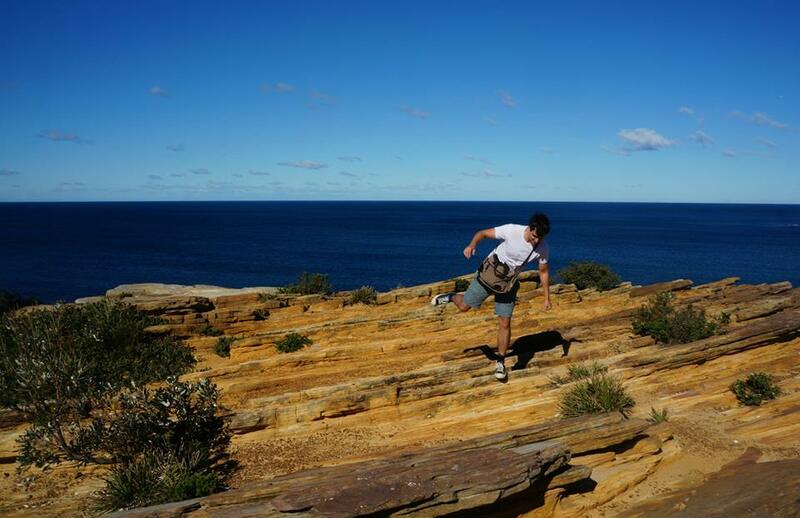 In addition, I recommend checking out the following which will clue you in to a decent amount of knowledge and get you buying better stuff in the long term. You sure it’s not excelsa you’re drinking?